Living in California now for over 5 years, I’ve learned that most food produced here is just as good (if not better) than most any place else. California tomatoes, olive oil, wine, stone fruit, beans, and grains occupy a majority of our meals. However, and I’ve had arguments with people about this, the Midwest has the best sweet corn. Give me Illinois peaches & cream sweet corn any day. Of course, I’m not so picky that I’ll refuse California sweet corn. It’s still delicious and I inevitably end up with an abundance (the $4/1 price is just too good). While I use it to make quite a few recipes during the season, I also like to save the kernels and cobs to make items I can use throughout the year. One of my favorite items to make is sweet corn broth, primarily because it’s easy and uses the cobs once the kernels are removed. I’ll keep a bag in the freezer that I will keep adding cobs to during the season. Then, once I get a few cobs saved, I’ll make a large batch of broth to freeze. My ratio for broth is usually 1 cup of water for 1 cob. I like to make it in 8 cup batches and toss in onions, garlic, thyme, salt and pepper. This is also another recipe for broth that’s a bit more involved but also delicious. Once you have the broth, use it in soups or risottos. I also love to make fresh polenta and use the sweet corn broth with the fresh corn- it’s such a powerful corn flavor! For keeping the kernels past the summer months, I freeze. I’ve tried a few different methods including just sticking the corn in on the cob. 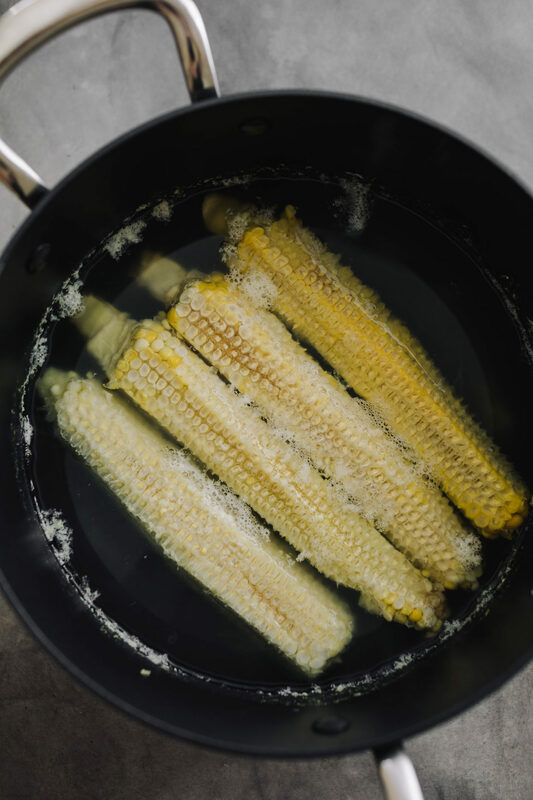 However, the best method to ensure solid flavor and texture is to blanch the sweet corn, drop it in an ice bath, remove the kernels, then freeze it. For a more thorough how-to, The Kitchn has you covered. Finally, canning sweet corn. Sweet corn is very low on acidity which means it’s best to use a pressure canner to can the corn. 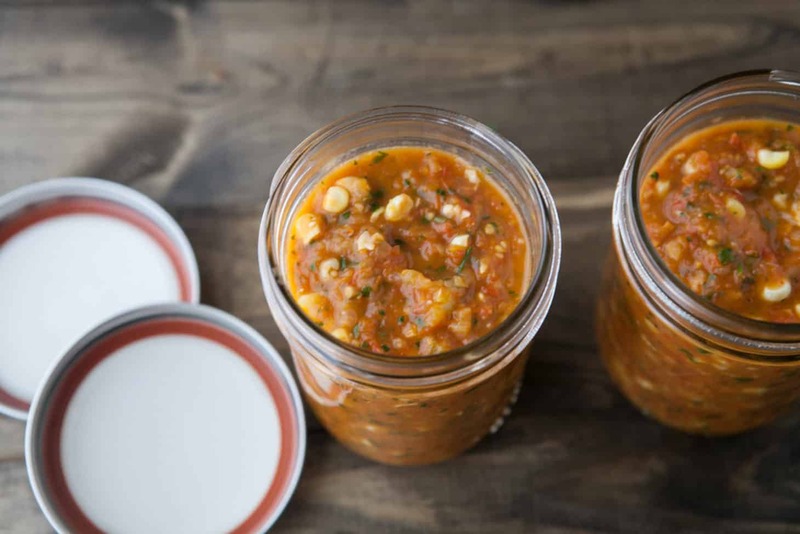 I don’t own a pressure cooker so I find ways to can sweet corn that are a bit higher in acidity (primarily making this tomato sweet corn salsa). 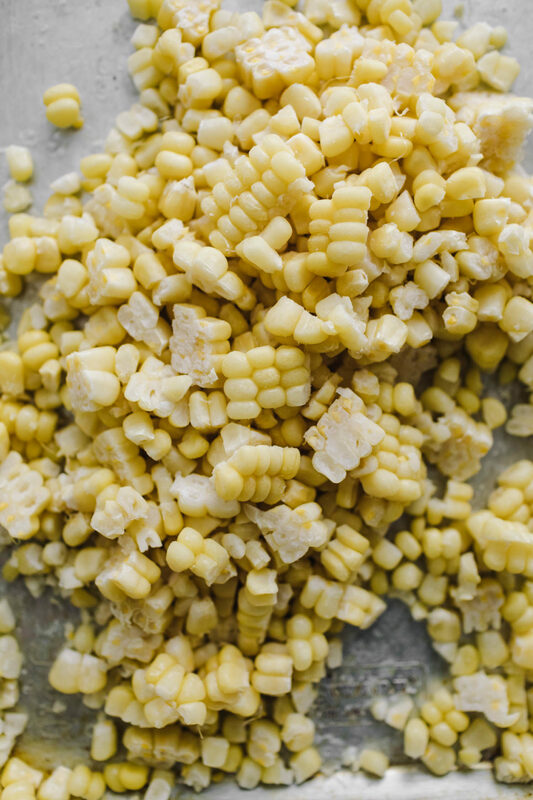 Of course, there are ways to can sweet corn. This is the method for pressure canning or you can also make a sweet corn relish that can be canned. There’s a few different versions but this version is solid, Mexican version, and traditional version can get you started.